In the interest of time, I am forced to shortened this feature to include two celebrities per week instead of four. Don't worry, I'll be sure to always include a stone cold vixen for my male readers. Today: Fred's married with two small children and continues to act and work in the entertainment industry. Recent Appearances: Disney Channel's Kim Possible and Family Guy. Today: Danica is married and expecting her first child soon. She wrote a New York Times Best-seller book on teaching math to girls. She mega-smart and studied math at UCLA. Recent Appearances: How I Met Your Mother, Big Bang Theory, Inspector Mom, etc. I love Fred Savage! Total fox! She came out with a math book too. I almost bought it until I found out she had no photos in it. Fred was great in The Princess Bride as well. I saw Danica had some math book published. She was one you could tell at the time she would be a fox when she grew up. Both her and Alyssa Millano. We loved The Wonder Years. It was nice having something the whole family could watch. 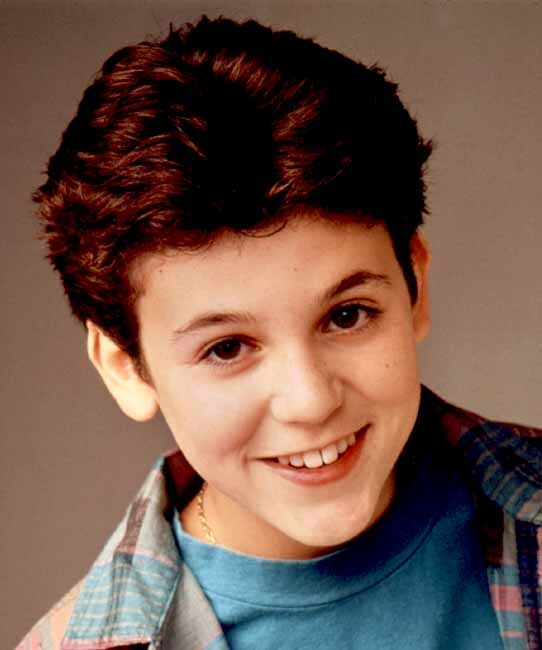 Fred Savage is a major hottie, especially in No One Would Tell! I know he kills Candice Cameron, but he was still looking good. I'm so horrible. Haha. Really enjoyed this show because it was set in the era I grew up in. I loved this show! I wonder if I could get it on Netflix? Thanks for the good memories! I had such a crush on little Kevin. He was much cuter as a kid. Impressive to learn that Winnie's got brains and looks. She was on NCIS as a (guess what?) Genius, lol. I wish they would get the music rights straightened out with this show so they could put it out on DVD...my husband would be SOOOOO happy. I love this show but my husband can't stand it so I can only watch it when he's not in the room. I was so surprised to find out that Becky Slater (Kevin's scorned woman) was Winnie's real life sister! 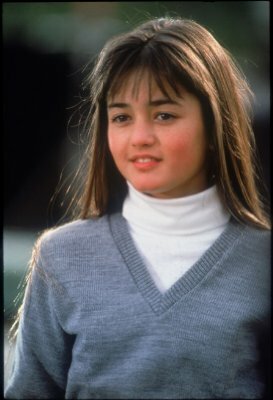 We all have a Winnie Cooper in our pasts. I never thought Winnie was all that cute when I watched The Wonder Years. I didn't even know her real name until I read your post. You are going to do this once a week? I'm excited. This is, by far, my all-time favorite show. I love them both and we have her math book! Love Fred's impish grin. It hasn't changed over the years. And Danica is gorgeous. I love that she's so smart and has chosen that path. Who would have thunk it? Girls can have brains and be gorgeous, too. hahaha. So glad to follow you now...this is a great feature. 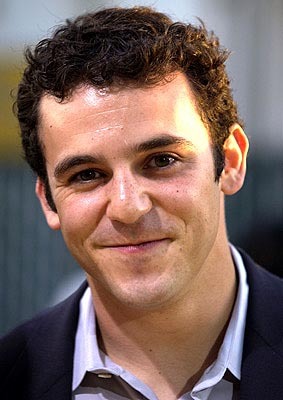 Yeah...Fred Savage turned out well. (he really was so cute in Princess Bride). I love your 516 connection. Wow! I hadn't thought of that show in ages! I so totally missed this entire series, though I remember the commercials. Sheltered, I tell ya. Sheltered. Thanks for stopping by my blog! I'm your latest follower! You know who else was a young star and turned out HOTT? He is one of those kids who grows up into an exact adult version of his childhood self. I'm pretty sure he did some directing for Always Sunny In Philadelphia. I LOVED the wonder years. Remember the rumor that his nerdy friend grew up to be Marilyn Manson! LOL! Love Fred Savage :) He was/is a cutie...but you're right, Ben wasn't as cute although I did love him on Boy Meets World! I miss The Wonder Years. It was our version of Ward and June. *folds hands under chin* Are you kidding? Ben Savage is so dreamy! And now a little more straight... Boy Meets World was the best! I'd take it over Wonder Years any day. The adult Fred Savage was in a fun show called "Working" which debuted at a time when I did not have a job and felt horrible. It was fun! I only recently realized that the host of "The Dish" show is Topanga from "Boy Meets World." It was awful seeing Fred play a bad guy on an episode of "Boy Meets World". Then Ben played a bad guy on an episode of that show, "Still Standing." I know they were trying to show off their acting chops, but it was too much to deal with. Just enjoyed catching up with your last few posts. Good on you for doing another video blog! Thanks for reminding me of Fred Savage. I always felt we had an affinity because he's a day younger than me. How that was relevant to anything I've no idea now!! I didn't know he was a Chi-town boy! I think he looks like a young Mandy Patinkin (sp!) in his grown up photo. Fred Savage looks exactly the same! And Danic well she's hot because she is so dang smart! Winnie was a pretty frigid chick, as I remember... which makes that "now" pic seem totally unbelievable. I think I need to watch 'The Wonder Years' once again!